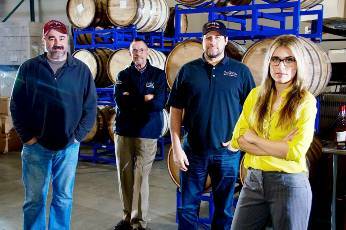 Indio Spirits, of Tigard, Oregon, is still – after ten years in business – not a huge operation. 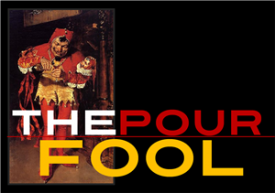 Back when John Ufford started it, in 2004, it was tiny. Indio (short for INdependent DIstillers of Oregon) produced barely 1,000 cases in ’05 and has steadily progressed to 9,000 in 2013. 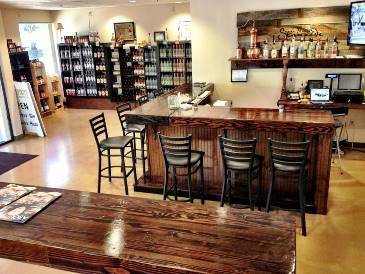 Today, with a high-speed bottling line – and a growing legion of fans – Indio is fast becoming one of Northwest distilling’s genuine grass-roots success stories. I recently had a bottle of Indio Cricket Club Gin cross my desk and it was a welcome sight, frankly, after the endless stream of Vodkas and Whiskeys that I’ve been sent lately. I came late to the Gin party, really only developing a fondness for it in 2009, when I received the first botanical gin I had tasted. The aspect of Gin that I was sick to death of was the pervasive and unbalanced juniper character which, of course, is kinda what Gin is all about. I just never liked the ones that were all about juniper, unrelieved, with background flavors that the producers tried very hard to eliminate. Modern botanicals celebrate the use of juniper in harmony with what can be literal dozens of artful infusions, putting them squarely in the wheelhouse of a guy like me, who quickly tires of simple beverages. My favorite, still, is the amazing Spring 44, made in Denver, but there have been about five or six others that compared favorably, especially Bruichladdich-produced “The Botanist” Islay Gin, Ransom’s “Old Tom”, Phillips’ Prairie Gin, and our own local Port Steliacoom Distillery “Homeport” Gin. For the first time ever, except for a long-held (well, since its introduction in 1999, anyway) fondness for Hendrick’s, I started just sitting and sipping (and loving!) straight Gin, as soon as I tasted the Spring 44. Now, I have to add another gin to that short list…and I’m tickled pink that I can because fully 40 samples went past me before Cricket Club showed up. They were all Much Of A Muchness. Cricket Club is not. 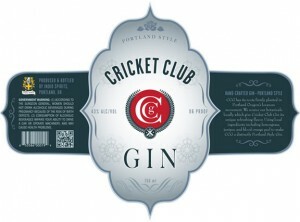 But, even at our jerky $29, Cricket Club is a Major Bargain and if you love today’s imaginative, artful American Gins, I urge you to pick up a bottle and Lively Up Yourself, like today…mon.